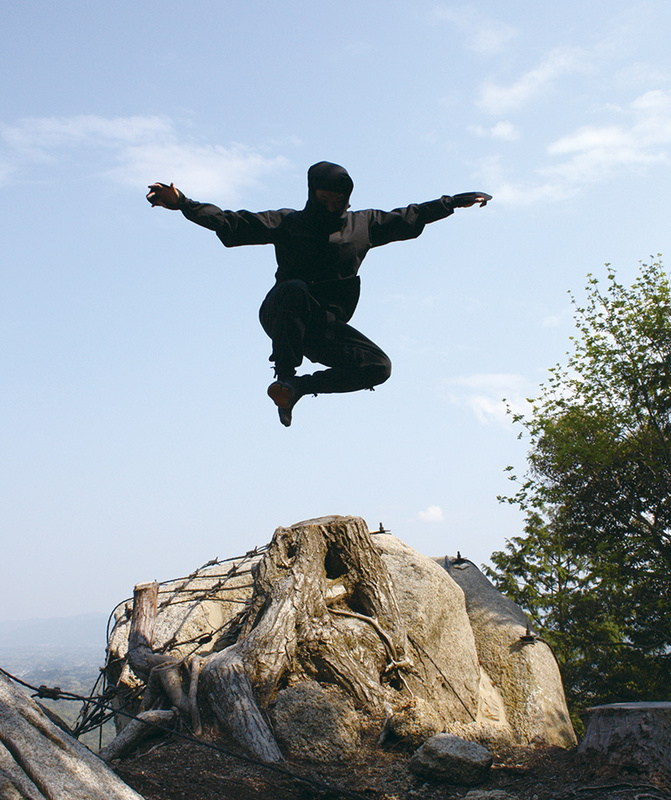 Ninja are covert agents who were active in the Warring States period in Japan. They engaged in espionage and conducted guerrilla warfare for the feudal lords they served. Ninja are well known, but who they really are remains a mystery. You can now learn about the true nature of ninja; the real ninja. 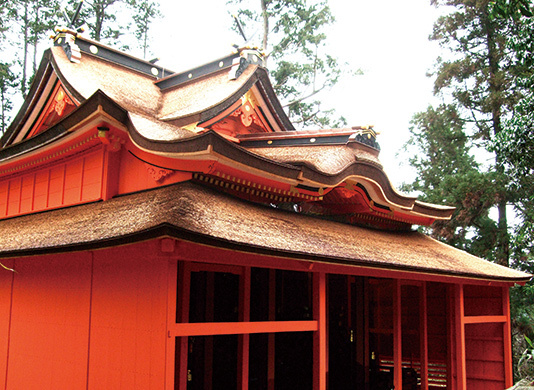 The Agency for Cultural Affairs recognizes stories through which Japanese cultures and traditions have been preserved in certain regions as Japan Heritage. The aim is to promote tourism and revitalize local communities through effective use of our attractive historical properties. 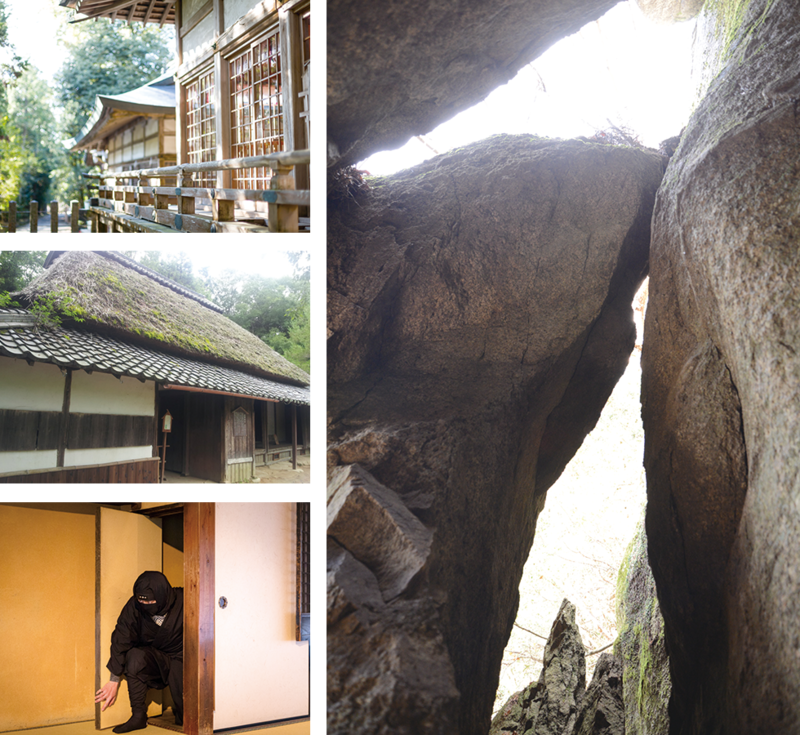 In the spring of 2017, stories of the two greatest homelands of ninja, Iga (Iga City, Mie Prefecture) and Koka (Koka City, Shiga Prefecture), were recognized as Japan Heritage sites. This is a story that tells us about the attractive cultures and traditions of the homelands of Iga ninja and Koka ninja, where we can still feel the presence of real ninja. 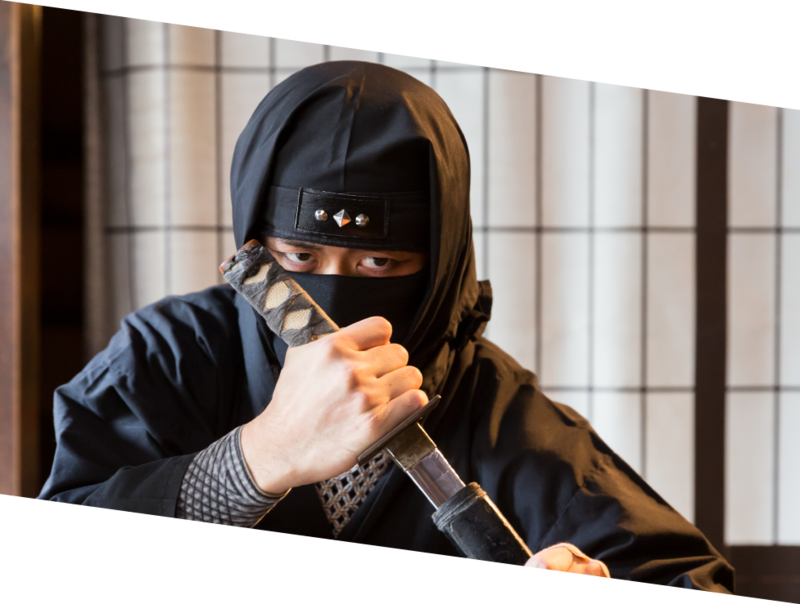 Many people from around the world are fascinated by ninja today, but who they really are is not well known. If you visit Iga and Koka, you will see old castles which retain the atmosphere of the warring states period in Japan on the outskirts of the village, training seminaries for Yamabushi traveling monks in the mountains where ninja also trained, and tutelary shrines in the villages where ninja gathered for conferences – you will see the true nature of ninja. 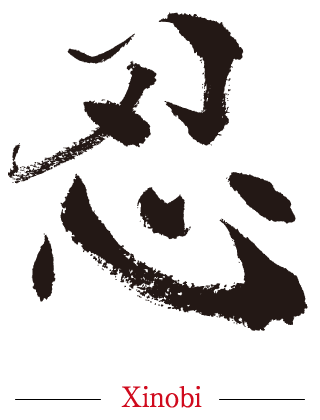 The Bansenshukai is a secret document containing a collection of ninja techniques of the Iga-ryu and Koka-ryu Schools. It was compiled by Fujibayashi Sabuji Yasutake in 1676. He was a descendant of Fujibayashi Nagatonokami, one of the elite ninja clans of Iga. The book’s core philosophy is Seishin (honoring justice and loyalty) and the book is comprised of the volumes Seishin, Shochi, Yonin, Innin, Tenji, and Ninki. 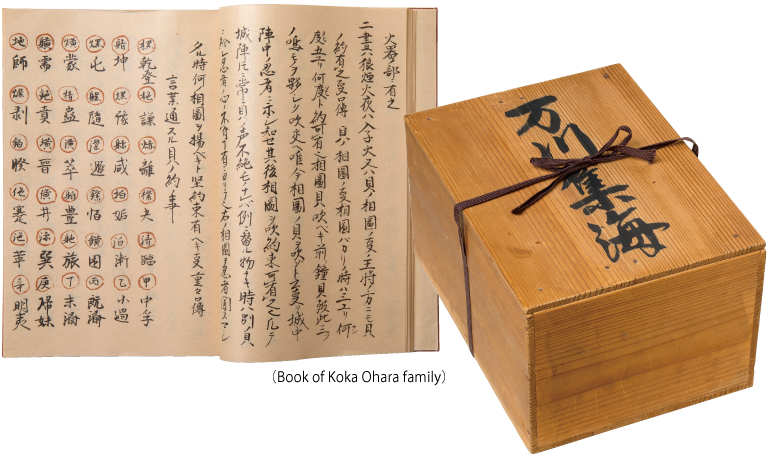 Manuscripts of the document are preserved in various places in Iga and Koka such as the Iga-ryu Ninja Museum.